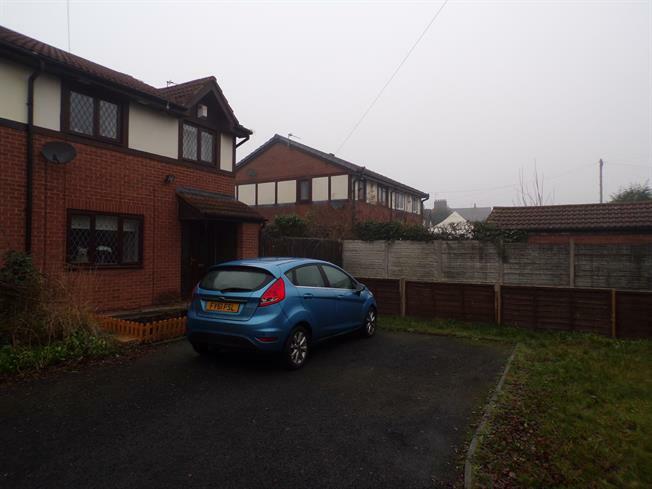 2 Bedroom Semi Detached House For Sale in Newton-le-Willows for Offers Over £100,000. Brought to the market with the benefit of no onward chain. We offer for sale this two bedroom quasi semi detached property. The property boasts a generous size plot and is conveniently placed for local shops, schools and amenities. In brief, the accommodation comprises; Entrance hall, lounge and kitchen to the ground floor. Whilst, to the first floor there are two bedrooms and a family bathroom. Externally, there is a shared driveway to the front in addition to a private enclosed laid to lawn garden. Viewing is advised to fully appreciate what is to offer. Door to front, laminate flooring. Window to front, radiator, laminate flooring, stairs to first floor. Window to side, door to side, fitted with a range of base units with work surfaces over, inset sink unit, radiator. Window to side, fitted with a three piece suite comprising, panelled bath with shower over, pedestal wash hand basin, low level WC. Externally, there is a shared driveway to the front in addition to a private enclosed laid to lawn garden.